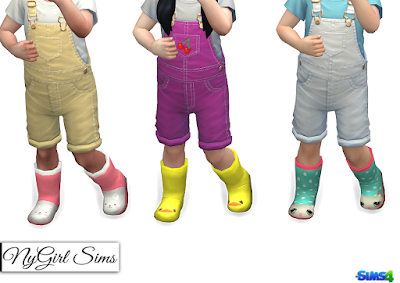 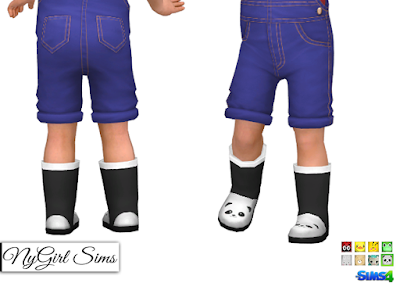 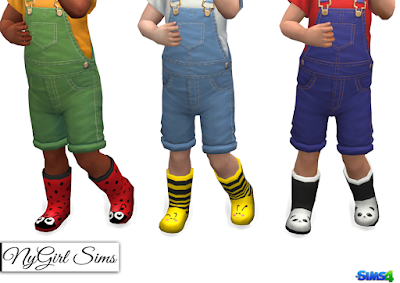 I made boots similar to these for Sims 3 and thought I'd try my hand at them again for toddlers. 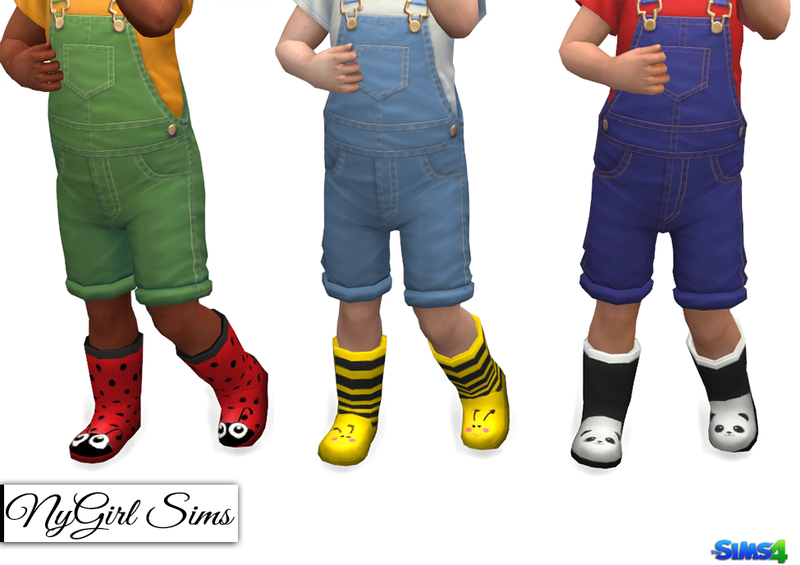 They are made from a mixture of TS4 textures. Mesh conversion and edit by me. 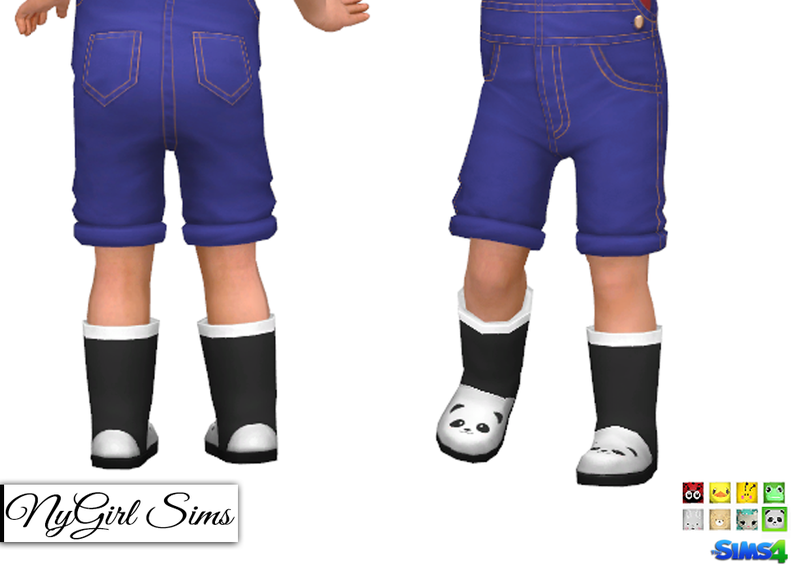 Comes in 8 adorable animal variations and are for both boys and girls.